The Alfa is an unarmored full-tracked vehicle that provides transportation of ammunition and general cargo to forward areas in support of field units. 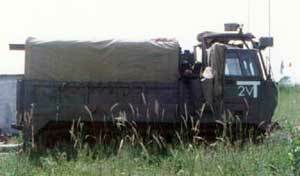 The vehicle is capable of carrying a six-ton payload and four men sitting abreast in its cab. 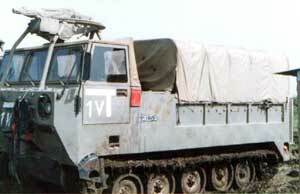 This supply vehicle is based on the same chassis as the M113 family of armored personnel carriers. 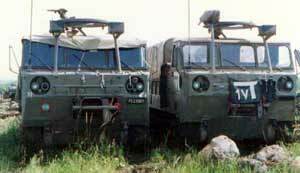 This unit is unarmored and it's mission was to supply artillery units with ammunition. The large rear door provides easy loading of material. The tracked chassis provides the ultimate cross country and amphibious capabilities. It is operated by a driver and an assistant. 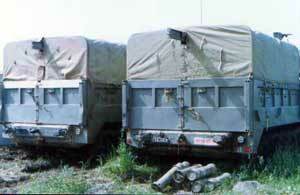 The rear cargo deck accommodates the transport of troops and/or materiel. The Alfa is transportable in C130 and C141 aircraft, will ford water up to 100 cm deep and travels easily over rough terrain and highways. 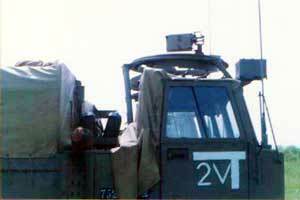 The 7.62mm or 12.7mm caliber machine gun can be mounted over the cab and operated from a hatch in the cab roof.